Miss the old days playing tabletop games with family and friends? Then check out Skadoodle!, a twist on the classic game of telephone. 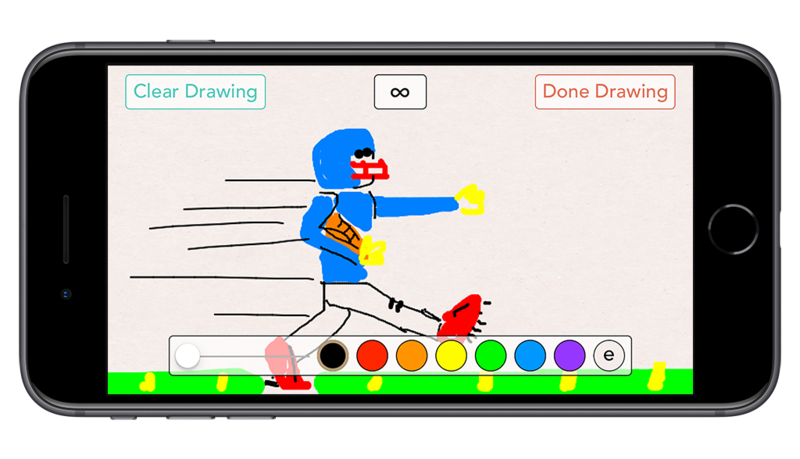 Blending simple drawing and guessing players pass their device around the table until it is returned and present the outcome (often with hilarious results). Skadoodle! is sure to be a hit at your next get together! Do you have a sick, twisted sense of humor coupled with a hidden desire to share it with your family and friends? Does societal pressure to maintain a mature, politically correct composure wear you down? Then try Skadoodle! Dark & Dirty. It’s the same Skadoodle! you love, now with a very adult twist.